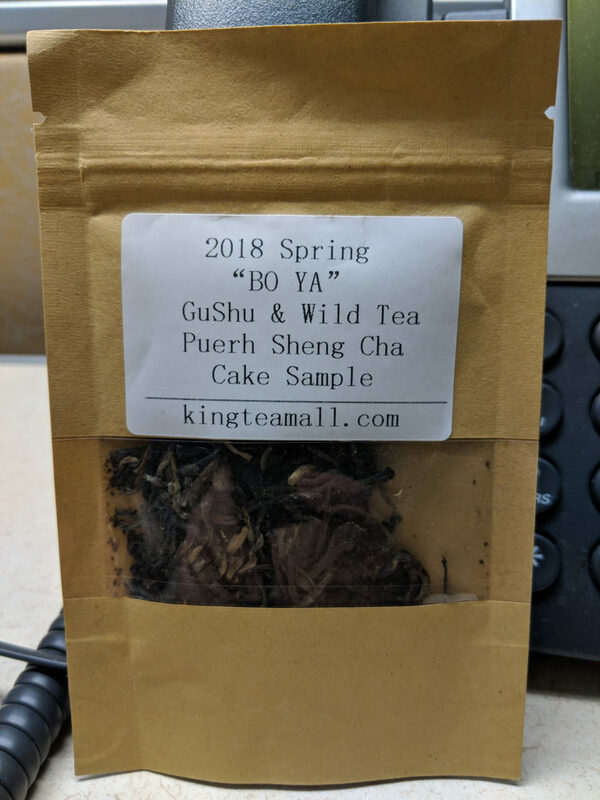 Spring 2018 “Bo Ya” Gushu and Wild Tea Sheng Puerh Sheng Cha from King Tea Mall. 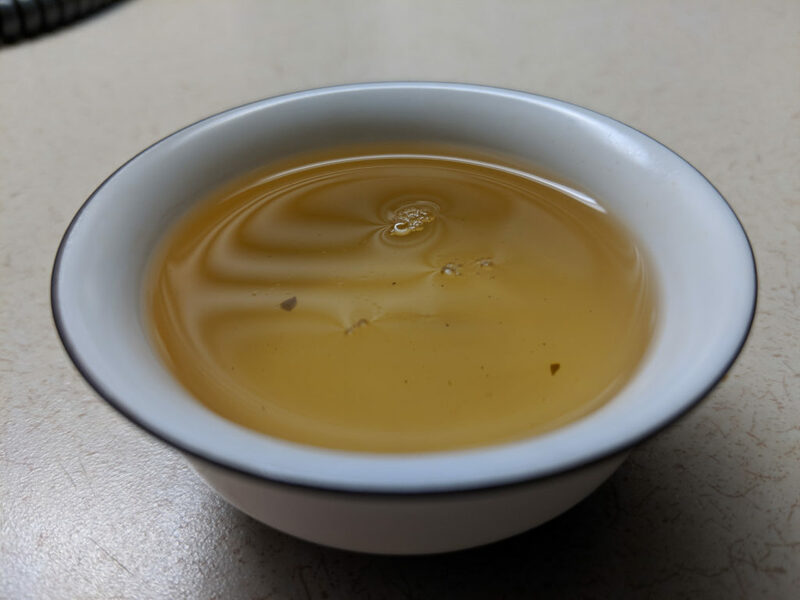 I had been enjoying John King’s Instagram feed when he posted the following summary of a new tea, a wild tree tea from the Bulang region in Menghai county. “Regarding these wild tree, we still don’t know how old they are. What it attracts me was the unique bitterness and soon coming Huigan (sweetness from aftertaste) and fell in love with it when I first tried it accidentally in Menghai. Always hard to find accurate description words on this bitterness. I do really enjoy the way John describes his teas. It is slightly poetic, yet at the same time highly specific and descriptive. As someone who enjoyed bitterness, (Broccoli Raab is one of my favorite vegetables, when I was drinking I imbibed copiously of the Amaro…) I almost felt like he was daring me to try this tea! Who wouldn’t want to try a tea with, “a wild, naughty flavor”? When I finally got around to ordering a cake of the tea he was describing, he said he would include some samples of others he thought I might like, given my interest in his Bitterly Wild and Naughty Tea. I suppose I should have considered myself warned. This tea is a blend of tea leaves from Wild trees and Old trees from the BanPen (班盆 which belongs to BanZhang tea area). Isn’t something like that the Mental Mantra from Frank Herbert’s “Dune”? 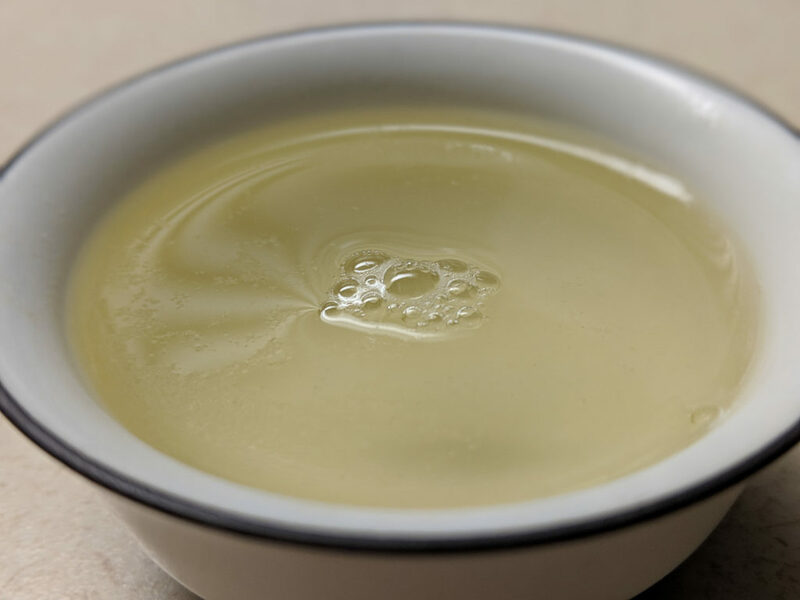 The second (or sometimes the first ranked) green tea almost always included in the classic list of “China’s 10 Famous Teas” is called Bi luo Chun, from Suzhou in the Jiangsu province of China. Suzhou is a two hour drive North from Hangzhou, the home of Dragon Well tea. Suzhou is closer to Shanghai, basically directly West from there. 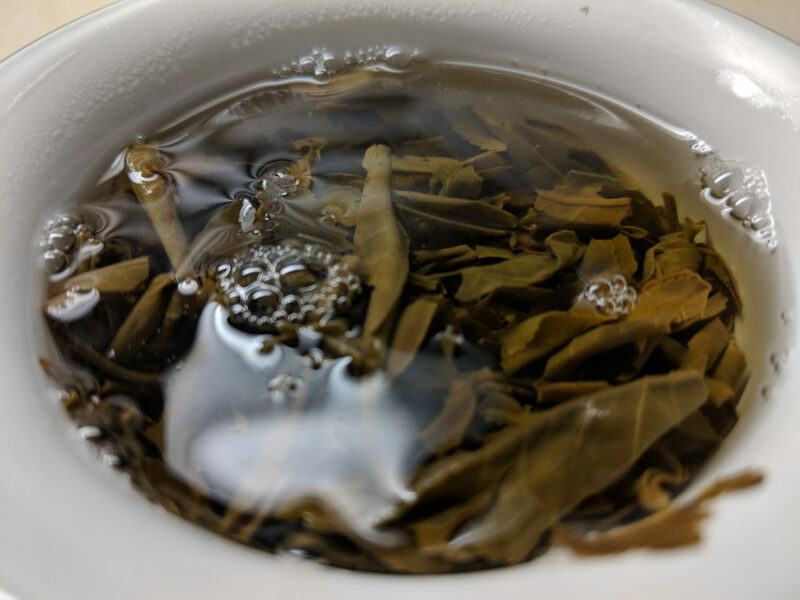 This Bi Luo Chun is from Yin xiang hua xia tea and I believe it is their “Fresh Bi Luo Chun”. 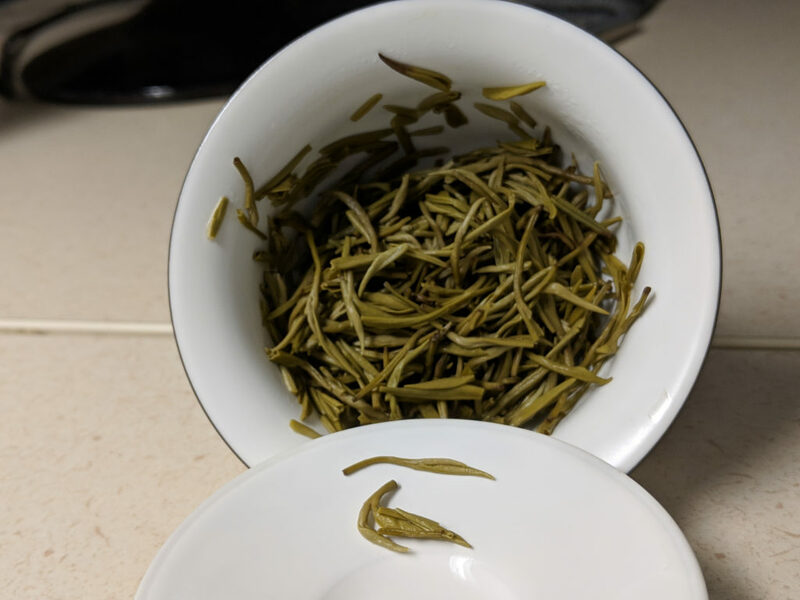 Bi is green, Luo is Snail, and Chun is spring, so the tea’s name translates to Green Snail Spring. 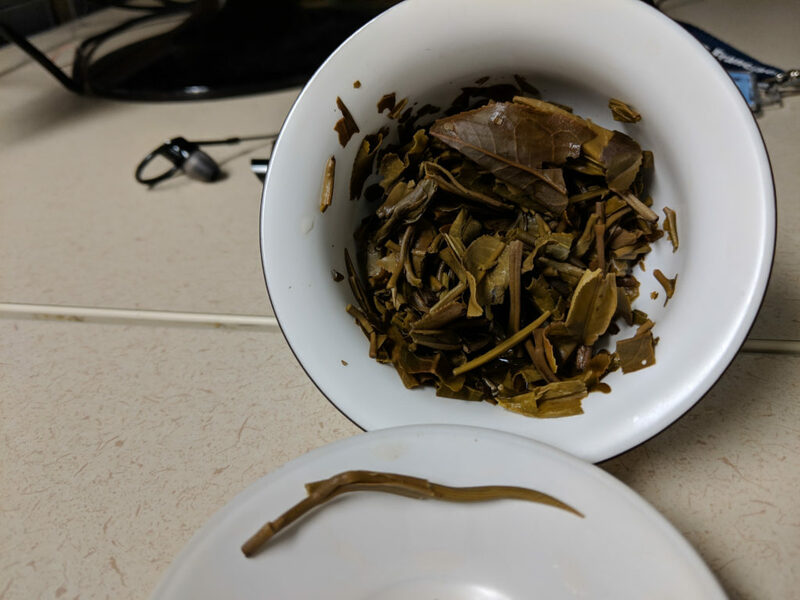 The sort of double twist that the tea is shaped into is said to resemble a snail out of its shell, (though it is harder to tell with these fine buds than it was with the coarse Bi Luo Chun from Yunnan.) It is very green, especially when Fresh, and it is only harvested in spring when the buds are smallest. Bi Luo Chun is a much more delicate tea than Dragon Well. This is a particularly fine version, almost entirely the tiniest buds with very few leaves. It reminds me a bit of the Ai Lao Mountain Jade Needle White Tea, though it does have some of the same nut character as Dragon Well. 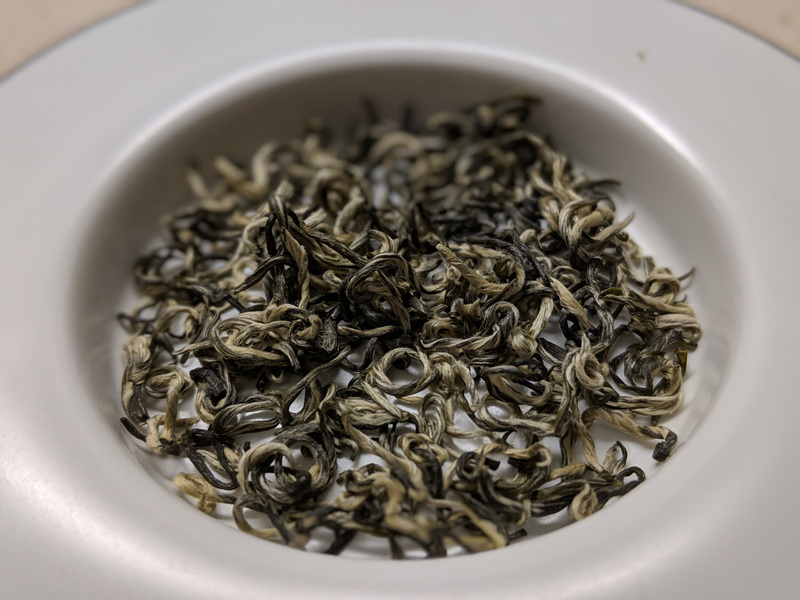 It is almost light enough to be a white tea, and it is certainly as bud forward as the Jade Needle tea was, though, of course, the Yunnan tea had much larger buds than these tiny things, which are barely bigger than your fingernail. 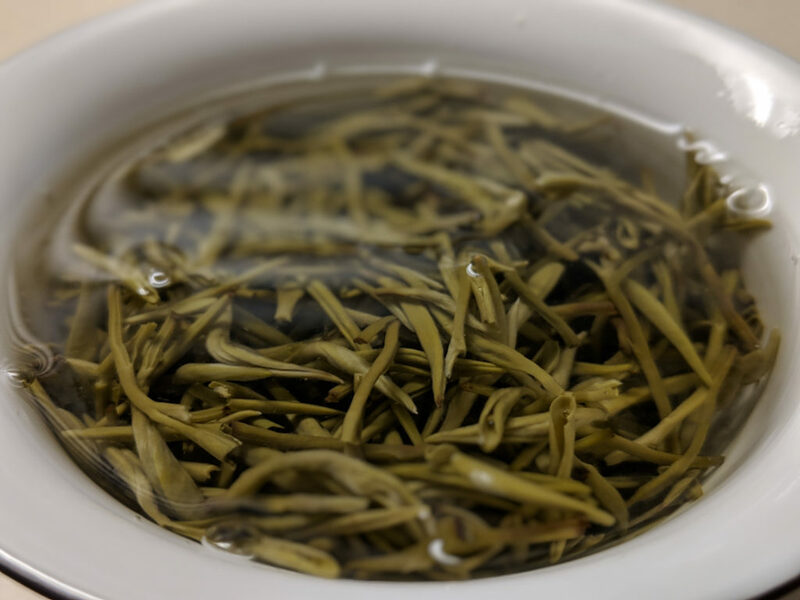 For being such a light tea, it is suprisingly re-steepable, with a clean refreshing broth and very long lasting aftertaste.